Holland purchased the 135 acre plantation Long Point from his uncle Thomas Middleton, Sr.
Holland and Sarah conveyed a portion of Long Point to John Tolson. Holland and wife Sarah convey a portion of Long Point to William Luckett. From 1784 to 1786, Holland filed petitions for bounty lands in Washington County which was created on 25 Feb 1784. Washington was, by and large, west Georgia. It found its westmost boundary along the Oconee River (and with it the Creek Nation), down to the Altamaha River in the south. Greene County was formed from its northern precincts in 1786 and then Hancock from portions of both in 1793. Holland's petitions were certified by Col. Elijah Clarke and Col. Gb Lee. Clarke (1742-1799) is best known for his part in the Patriot victory at Kettle Creek, Georgia, 14 Feb 1779, and rather less honorably for his land speculation. Warrant executed for 300 acres. See FamilySearch link to bounty file above. Warrant for 287 1/2 acres. See FamilySearch link to bounty file above. Certificate of compliance with act of 1781 executed by Elijah Clarke. Holland attended the organizational meeting for Powell's Creek Baptist Church (then in Greene County, a recent created from part of Washington County) and became a charter member. Geographically, Powelton is northwest of the confluence of Beaverdam Creek and the Ogeechee River. Middleton bequeathed a tract of land between the Beaverdam and the Gainesboro road. 250 acres. 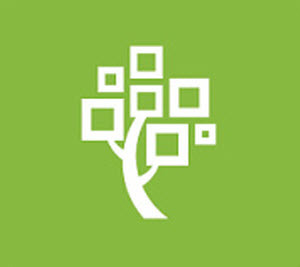 See FamilySearch link to bounty file, above. Greene County was formed on February 3, 1786, from land given by Washington County. It was named in honor of General Nathanael Greene, a hero of the American Revolutionary War. "State of Georgia, 31st July 1798, JOEL DICKINSON of Hancock County, Georgia to ZACHARIAH MADDUX of same place for the sum of twelve pounds of money for all that tract of land containing 40 acres being in Hancock County, GA. and on the waters of the Beaver Dam of Ogechee. Adj. Jesse Connell's land, and James Loyd's corner to Hugh's line. Land being a part of a 250 acre tract granted to HOLLAND MIDDLETON 23rd April 1789. Wit: Wm. Owsley, Seavin Maddux and Obadiah Richardson, J.P. Reg: 7th August 1798." Holland's will is admitted to probate. "Will of HOLLAND MIDDLETON of Hancock County, Georgia...to my son ZACHARIAH MIDDLETON, land in the county afrd. between the beaver dam and the Greensborough road...to my wife MARY MIDDLETON, 1/3 of all my Estate real and personal or her Dowery at her option and no more...to my daughter SARAH DICINSON, five shillings sterling exclusive of all that I have given her heretofore...to the heirs of my daughter SUSANNAH BERRY, 5 shillings sterling, exclusive of property hertofore given her and them...all remaining part of my Estate equally divided between my son JOHN MIDDLETON, ROBERT MIDDLETON, ELIZABETH MIDDLETON and MARY MIDDLETON, PARKS MIDDLETON and BENJAMIN MIDDLETON...MARY MIDDLETON and son ZACHARIAH Exrs... HOLLAND MIDDLETON (Seal) Wit: RIDSON MOORE, JUNR., JONATHAN BLACK, ROBERT OWSLEY... (Will not dated.) Appeared on 23rd of July 1795, Robert Owslwy and Ridson Moore, 2 of subscribing witnesses... MYLES GREENE R. P. H. C."
[S009310] History of Hancock County, Georgia, Elizabeth W. Smith, (Washington, Georgia: Wilkes Publishing Co., 1974). "Among the early founders and settlers of Hancock Co. were Capt. Holland Middleton and Col. Robt. Middleton, natives of Charles Co., Maryland, who took grants and settled on Shoulderbone Creek in 1784. The will of Holland Middleton Sr., 1795 shows the following family: wife, Mary; sons Zachariah, John, Robert, Benjamin, Parks; daughters Sarah, wife of Joel Dickenson; Mary, wife of Daniel West, Elizabeth, wife of Nicholas Findley. The sons in 1818 removed to Alabama and lived until 1835 in Tuscaloosa Co., Alabama." [S122652] The Maryland Semmes and Kindred Families, Harry Wright Newman, (Westminster, Maryland: Heritage Books, 2007), 279. Newman does not give a date of birth for Holland. [S122652] The Maryland Semmes and Kindred Families, Harry Wright Newman, (Westminster, Maryland: Heritage Books, 2007), 263. [S71] Georgia's Roster of the Revolution, Lucian Lamar Knight, (Atlanta, Georgia: Index Printing, 1920), https://archive.org/stream/georgiasrosterrev00knig., 387. [S58] FamilySearch.org, (Salt Lake City, Utah: The Church of Jesus Christ of Latter-day Saints), "Georgia, Headright and Bounty Land Records, 1783-1909," images, FamilySearch (https://familysearch.org/pal:/MM9.3.1/TH-1951-25989-20573-6?cc=1914217&wc=M61W-S29:200684001 : accessed 06 Nov 2014), Headright and bounty documents 1783-1909, Melton, Isaac-Middleton, William > image 376 of 592; State Archives, Morrow. [S71] Georgia's Roster of the Revolution, Lucian Lamar Knight, (Atlanta, Georgia: Index Printing, 1920), https://archive.org/stream/georgiasrosterrev00knig., 121-122. [S76] Georgia Historical Quarterly, (Savannah, Georgia: Georgia Historical Society), "Georgia Bounty Land Grants," Alex M. Hitz, vol. 38, No. 4 (December, 1954). This article discusses the parameters of the various bounties enacted by the Georgia legislature during and after the war. The 1781 act created a bounty that "was for good, or at least neutral, behavior for the last ten months of the fighting. Military service was not mentioned; all that was required was that the citizen do not plunder or distress his neighbors, or that his plundering be not so overt and notorious to justify conviction. This group of persons, which was twice as numerous as all of the fighting-men combined, received more land for merely remaining in the state for ten months, at home and at peace with their neighbors , than did the men who served and fought for eight years in the Georgia Line Regiments of the Continental Army." [S73] Georgia USGenWeb Archives Project, (The USGenWeb Archives Project), http://www.usgwarchives.net/ga/gafiles.htm., "Charter Members of Powelton Church, Hancock Co, GA July 1786," submitted by Donna Wall, http://files.usgwarchives.net/ga/hancock/churches/powelton.txt, accessed 6 Nov 2014. [S72] Historic Rural Churches of Georgia, (Historic Rural Churches of Georgia), http://hrcga.org/., http://hrcga.org/powelton-baptist/, accessed 6 Nov 2014. "The church holds a special place in Baptist history- the General Committee of the Georgia Baptists was organized at Powelton Baptist in 1803, and the Baptist State Convention was formed here in 1822. Sessions were held at the church in 1823 and 1832." [S036369] Georgia Tax Digest, 1789-1799, (Morrow, Georgia: Georgia Archives). Online publication - Jeffery, Alice. Georgia Tax Index, 1789-1799 [database on-line]. Provo, UT, USA: The Generations Network, Inc., 1998. [S74] Land Deed Genealogy of Hancock County, Georgia, Helen and Tim Marsh, ed., (Greenville, South Carolina: Southern Historical Press 1997), 145. [S75] Some Georgia County Records, Rev. Silas Emmett Lucas, Jr., (Greenville, South Carolina: Southern Historical Press), vol. 1, 110-111. [S58] FamilySearch.org, (Salt Lake City, Utah: The Church of Jesus Christ of Latter-day Saints), "Georgia, Probate Records, 1742-1990," images, FamilySearch (https://familysearch.org/pal:/MM9.3.1/TH-1942-30354-13506-71?cc=1999178&wc=9SYY-92Q:267654601,267757601 : accessed 07 Nov 2014), Hancock > Wills and administration records 1794-1807 vol A-4A > image 53 of 580; county probate courthouses, Georgia. Newman alleges that Holland married Mary Parks after arriving in then Greene County, Georgia.